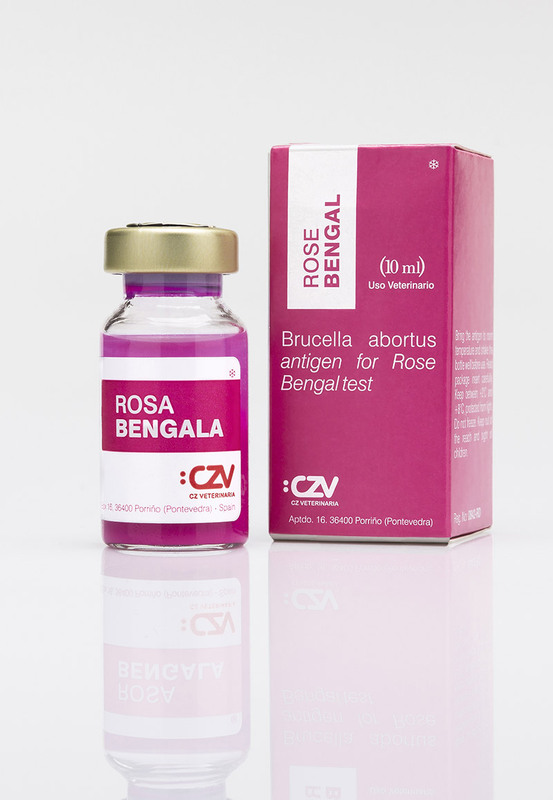 Test for serological diagnosis of infections caused by Brucella. Suspension of a smooth-culture of S99 strain of Brucella abortus. Vials of 10 ml and 50 ml. Bring the serum samples and antigen to room temperature (22°C±4°C), only sufficient antigen for the day`s tests should be removed from the refrigerator. Place 1 drop from each serum sample onto successive places on the test plate; 25 μl for HA plates and either 25 μl or 30 μl for flat plates. Shake the antigen bottle well, then drop 1 drop of antigen onto each drop of serum. The volume of antigen should be equal to the volume of serum. Immediately the last drop of antigen has been added to the plate, mix the serum and antigen thoroughly. On the flat plate this is done with a tooth pick or glass rod. In the case of the HA plate, moving the plates in circles. Put the plate on the rocker or rotary agglutinator and run the machine for exactly 4 minutes. Read the result immediately. On flat plates the result may be judged as positive or negative according to the presences or absences of any degree of agglutination, or a more detailed evaluation may be made, as recommended for the test done in HA plates, i.e. 0 = no agglutination, no rim formation, uniform pink colour. 1 = barely perceptible agglutination and/or some rim formation. 2 = fine agglutination with a definitive rim, some clearing. 3 = coarse dumping, definitive clearing.